Android Facebook App Update Lets You Get Social More With Video! I'm a huge Facebook user, and one thing I love to do is posting video messages on other people's walls. It's a great way to give a personal message and stay in touch. But you couldn't do that from your smartphone, until now! The most recent Facebook Android update that rolled out last week comes with some new video tweaks. You used to only be able to post videos to your own wall using your smartphone. You could only post pictures to other friends' walls. Now you can drop a direct video message to your friends straight from your smartphone. I think this will revolutionize the way Facebook will be used, because it promotes more multimedia use. Rather than typing boring messages on your friend's wall, they can see all of your emotional expressions with a video. 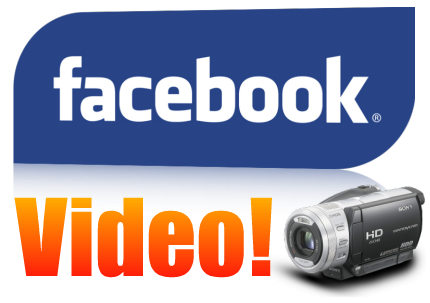 Posting video content to Facebook can be quite the promotional tool when you are a public speaker, singer, comedian, or politica figurehead. Now that you can share video messages directly, you'll be able to have a greater impact on others. Previously, I would use my desktop computer and the Flash video app to post video messages on the walls of my friends. But the app is very buggy, and sometimes you would have to record multiple times just to get the video to take. That gets quite annoying. But with the Android Facebook app, I have had zero problems or bugs when posting videos to my friends walls. Plus, the quality of the video is much higher than that of using a USB webcam to create your message. The audio is rich and full when creating a video using my Samsung Galaxy S2 smartphone. I was not expecting it to be this good. You can choose the resolution of the video from your phone, but I'm not sure if Facebook truncates the size by decreasing the resolution on the server side. Whatever the case, this is something I have been waiting over a year to see on Facebook for Android. Let the video messaging begin!